How Feasible Is it Really to Work from Home as a Caregiver? Working from home may be a solution to your work/life balance problem as a caregiver. But you have to go into it prepared. The biggest part of having success while working from home is to have a physical space which you can devote just to yourself and to your work. If this space has a door, that’s even better. You’re going to need an area that you can lay claim to that is just for you to work from when you’re on the clock. Smaller homes can make this difficult, as can larger families. It might be necessary to move some things around to find that one spot just for you. There are plenty of jobs that you can do from home seamlessly. Much of the duties that you perform at a desk job, for instance, can be done remotely via email and telephone. This isn’t true for every job, of course, but your employer may be willing and able to make some adjustments to your duties in order to help you work from home. Get as clear as you possibly can about what your new job duties will require so you can take the next step. Working from home requires a plan so that you can meet the needs of every aspect of your life, including as an employee and as a caregiver. Your plan is never going to be perfect and you might find that you have to tweak it in order to get things right. That’s okay. It’s all a part of acclimating to your new reality. Take the time to set up a plan for how you’ll handle interruptions, what hours you’ll be working, and anything else that you can think of that might affect your ability to work. One of the aspects that you’ll need to plan for is how you’ll handle it when your senior needs help, but you’re busy working. You could just go ahead and remain available to your elderly family member no matter what, but that may not be something that is reasonable. Hiring senior care providers during your working hours ensures that you’re able to work uninterrupted and your aging adult has someone to help her. Ultimately it’s up to you and your employer as to whether working from home will meet your needs as a caregiver as well as your company’s needs. More and more companies are on board with offering flexible options, so it’s worth exploring whether this might be something that solves issues for you. If you or an aging loved-one are considering a Caregiver in Gilbert, AZ, please contact the caring staff at Endeavor Home Care today. Call (480) 535-6800.
https://www.endeavorhomecare.com/wp-content/uploads/2018/09/bigstock-Mother-And-Daughter-55846361.jpg 600 900 admin https://www.endeavorhomecare.com/wp-content/uploads/2019/02/logo-website-endeavor.png admin2018-09-05 15:35:572018-11-19 22:57:57How Feasible Is it Really to Work from Home as a Caregiver? May is Older Americans Month, a month dedicated to celebrating older adults and the many ways they contribute to the world. According to President Donald Trump’s proclamation, the month is a time to “recognize and celebrate those Americans who have spent decades providing for the next generation and building the greatness of our Nation. Finding ways to contribute can give seniors a sense of purpose and something to look forward to each day. If your aging relative could use a sense of purpose, below are five ways they could contribute to society. Check out customers at non-profit thrift stores. Rock and cuddle babies in the hospital NICU. Socialize cats or puppies at the humane society. Read with or tutor children. Donate their skills to a Habitat for Humanity build. Younger people can benefit from learning from older adults with more life experience. You may be able to find opportunities for mentoring through local schools and youth-oriented non-profit organizations. Sometimes churches have mentoring programs as well. Seniors have a unique perspective on the past that younger generations do not. Sharing their stories can be an excellent way for younger people to learn about history. One way they can share the information is by volunteering to give tours at a museum or work as a guide at a living history museum. Many older adults know how to do things that younger people don’t, such as canning, wood carving, and leatherworking. These are skills that aren’t widely taught but are still valuable. An older adult could volunteer to teach a class or participate in a seminar that shares these skills. Places to do this might be the local library, school, or a community college. If your aging relative is looking for a less formal way to contribute, simply sharing their wisdom with younger family members is also valuable. 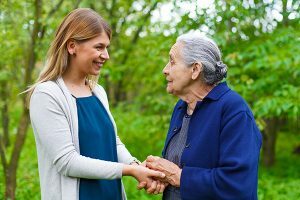 This doesn’t mean they have to be bossy or offer unwanted advice, but they could simply take the time to talk to grandchildren or other young relatives about their life experiences. Home care can assist older adults to engage in activities that allow them to make a contribution. Home care providers can help seniors find fitting volunteer positions. They can also drive the older adult to the places where they volunteer. Home care providers can also help seniors to prepare for activities by assisting them to gather materials they need for classes or seminars or preparing the house for visitors. If you or an aging loved-one are considering Senior care in Chandler, AZ, please contact the caring staff at Endeavor Home Care today. Call (480) 535-6800. Not Sure How to Act When Visiting Someone with Alzheimer’s Disease? These Tips Can Help. It may sometimes be a bit intimidating to know what to mention and how to behave when spending some time with a loved one with Alzheimer’s disease. And, sadly, due to a number of inherent elements of the disease, oftentimes family and friends feel so uncomfortable that they avoid going to see the person anymore. Understanding more information on the disease and things to anticipate, and planning ahead about how to best manage challenging behaviors can help. 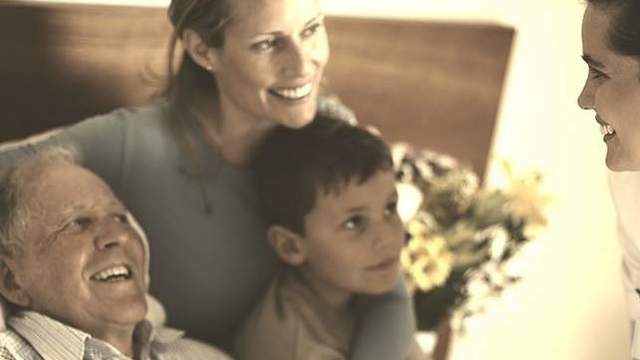 The chief difficulties family caregivers and friends encounter with their loved one with Alzheimer’s disease fall into one of three categories: changes in behavior, changes in memory and communication ability; and the level of difficulty will probably fluctuate based on the particular stage of the disease the senior is currently experiencing. Begin your visit with a smile, and be prepared to re-introduce yourself if needed. Use very simple language and brief sentences, and talk slowly. Refrain from arguing with or correcting the senior. Bring photos from a favorite past memory for reminiscing. Listen to a number of the person’s favorite tunes together, and maybe even ask him or her to dance! Taking a walk together if at all possible, or just about any other physical exercise, can make the visit more fun for both of you. Remain calm during your visit, even when the senior gets agitated or exhibits inappropriate behavior. Keep a sense of respect during your conversation, understanding the senior may repeat questions and statements. Reduce distractions in order to give the person your full attention. Above all, bear in mind who the individual was pre-dementia, and remind the person what she or he did which has inspired you or helped you become the person that you are today. 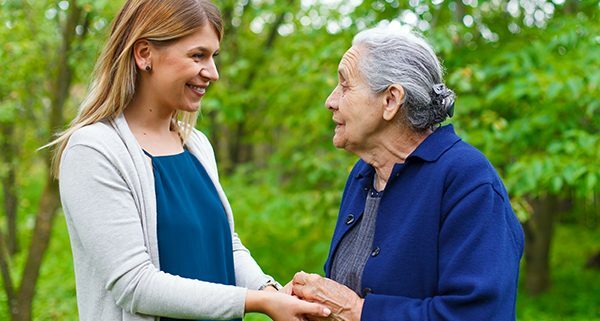 For additional tips on effective communications with those with Alzheimer’s disease, or for specialized hands-on care assistance, contact the Arizona dementia care team at Endeavor Home Care. Our skilled dementia caregivers are fully trained and experienced in a number of tactics to make sure seniors with Alzheimer’s disease remain secure and safe and are able to live life to the fullest, with the utmost respect and compassion all of the time. Call us at (480) 535-6800 or contact us online for more details. https://www.endeavorhomecare.com/wp-content/uploads/2018/03/daughter-spending-time-with-Alzheimers-mother.jpg 400 600 admin https://www.endeavorhomecare.com/wp-content/uploads/2019/02/logo-website-endeavor.png admin2018-03-13 10:32:342018-11-19 22:58:12Not Sure How to Act When Visiting Someone with Alzheimer’s Disease? These Tips Can Help. A ‘Caregiver’ is someone who provides any type of physical or emotional care for a loved one or someone with health impairments. Alzheimer’s in the US is on the rise and there are currently over 5 million people diagnosed with the most feared disease for people over 65. Many people are overwhelmed when faced with the need to suddenly care for someone who has been diagnosed with Alzheimer’s or Dementia. But HOPE is on the horizon! All of these topics will be addressed in a language that can be understood by all and is designed to point people in the right direction for information, care options and treatments. This Endeavor Cognitive Health Series is FREE to the public and is open for individuals interested in the topics, family caregivers and professionals. The lecture will be on Thursday, February 9, 2017 from 5:30pm to 7:30pm at the Scottsdale Mustang Library (10101 N. 90th St., Scottsdale, AZ 85258). We will be pleased to hear from Brian Browne, MS, CSA who is currently serving as the Director of Education and Outreach at Banner Research and the President of Dementia Care Education. Mr. Browne has expertise in interpreting the cognitive science of Alzheimer’s and Dementia and offers education, training and research statistics in a way attendees will understand. Join us to hear from an industry expert on Alzheimer’s and Dementia cognitive health. Seating is limited and there will be light refreshments served. 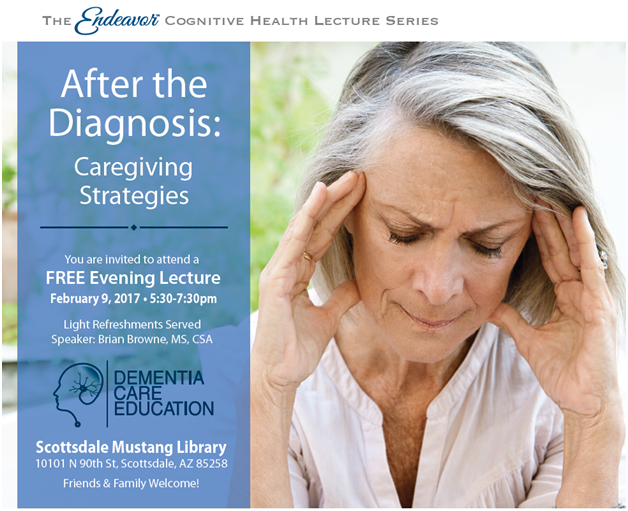 Please RSVP by calling 480-498-2324 and contact us for any questions on topics in the lecture series. Family members providing care to aging loved ones can receive support and training by accessing the Family Learning Center at the Endeavor website. For millions of older Americans in need of day-to-day care and assistance, friends and family members play an important role in furnishing the care required to allow their friends and loved ones to continue to reside in the comfort and familiar surroundings of their own homes. 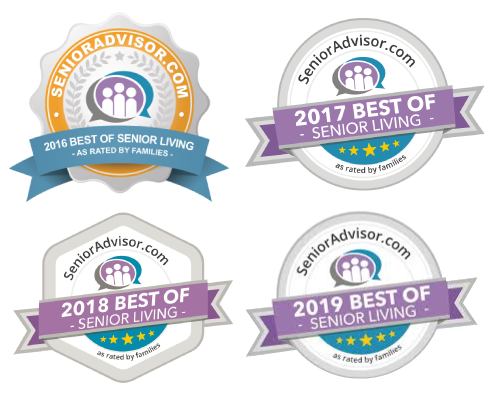 Endeavor Senior In-Home Care of Mesa, Arizona, now has a useful tool on its website that links caregivers to the Family Learning Center where they can access courses, quick tips and videos covering a variety of topics of interest to caregivers. Visitors to the Endeavor website can access a link to the Family Learning Center listed under the “Services” tab. An easy to complete registration process gives caregivers access to more than 50 self-paced courses, videos and other resources offered at no cost to the user. Included in the course offerings are caregiver training for those caring for individuals with Alzheimer’s and dementia, safety and fall prevention, meal preparation and nutrition, and managing medications. 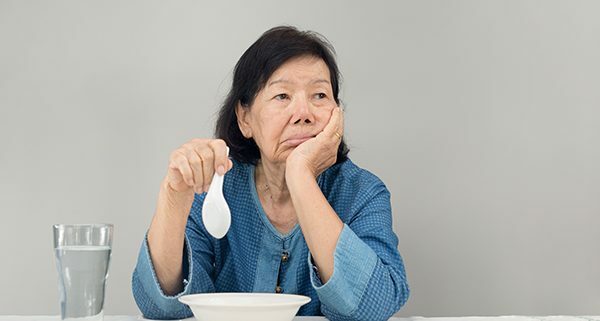 Endeavor In-Home Care has also included materials in the Family Learning Center focusing on the needs of the caregivers who have undertaken a role that can be as stressful as it is rewarding. Visitors to the resource center will find tips and information about dealing with caregiver stress and balancing the role of family caregiver with the responsibilities of a career and family. 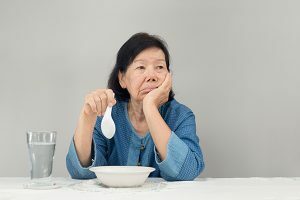 As some of the Family Learning Center materials mention, the stresses of caring for a friend or family member can affect the caregiver’s physical and emotional health and wellbeing. There might be times when a caregiver needs to step away from the day-to-day responsibilities of caring for another person. Endeavor In-Home Care offers respite care services to provide temporary relief by giving caregivers some much-needed and well-deserved time away from their daily responsibilities. Individuals placed in a person’s home to provide respite care must meet Endeavor’s strict qualification standards and pass a background check. 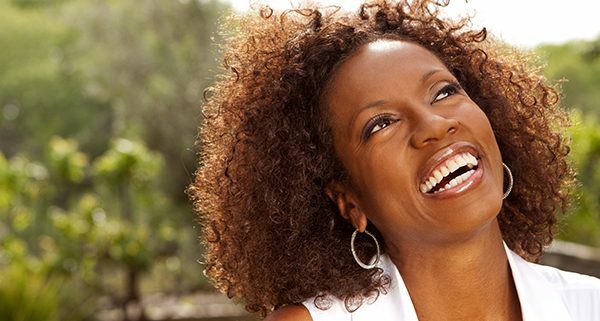 Caregivers are bonded and insured and subjected to the highest level of supervision. Endeavor’s Management Staff has over 90 years of combined health care experience and is known for putting the client and family needs first and foremost. Simply put, they are Enriching Lives 24/7 one family at a time. For more information or to schedule a free assessment, contact Endeavor Home Care Group by visiting their website at EndeavorHomeCare.com or call 480-498-2324. 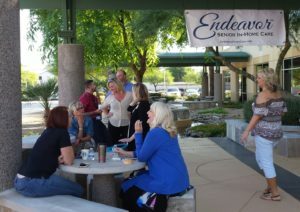 This morning, the Endeavor In-Home Care staff had the opportunity to host our 2nd Annual Open House. 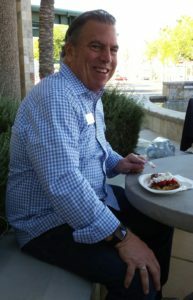 We provided a Waffle Crush breakfast for those who attended. This event gave us the opportunity to express our appreciation and thanks for all of our friends, co-workers and industry referral partners. It was a beautiful morning in Mesa, AZ so we enjoyed sitting outside in an informal setting. The waffles were delicious and the company was the best! We all had the opportunity to sit and mingle apart from the normal work environment. A positive attitude was projected the entire time as visitors dropped in and out and connected individually with each other. We also opened our office for those who wanted to come in and tour the facility. The entire Endeavor In-Home Care staff administration staff was there to greet our guests. Endeavor In-Home Care is committed to providing outstanding care and it is because of our staff and industry friendships that help us to enrich the lives of our clients. Thank you to everyone who came out to see us! And other cities in the greater Phoenix area.